Only little systematic research has examined event-related brain potentials (ERPs) elicited by the cognitive processing of music. The present study investigated how music processing is influenced by a preceding musical context, affected by the task relevance of unexpected chords, and influenced by the degree and the probability of violation. Four experiments were conducted in which “nonmusicians” listened to chord sequences, which infrequently contained a chord violating the sound expectancy of listeners. Integration of in-key chords into the musical context was reflected as a late negative-frontal deflection in the ERPs. This negative deflection declined towards the end of a chord sequence, reflecting normal buildup of musical context. Brain waves elicited by chords with unexpected notes revealed two ERP effects: an early right-hemispheric preponderant-anterior negativity, which was taken to reflect the violation of sound expectancy; and a late bilateral-frontal negativity. The late negativity was larger compared to in-key chords and taken to reflect the higher degree of integration needed for unexpected chords. The early right-anterior negativity (ERAN) was unaffected by the task relevance of unexpected chords. The amplitudes of both early and late negativities were found to be sensitive to the degree of musical expectancy induced by the preceding harmonic context, and to the probability for deviant acoustic events. The employed experimental design opens a new field for the investigation of music processing. Results strengthen the hypothesis of an implicit musical ability of the human brain [emphasis added]. Evidently, our brains, even without musical training, absorb enough information to know what to expect next in music, and therefore the researchers have assumed that the brain has inherent musical ability (I can think of other explanations, but this seems quite possible, given all the other research that has been done). If that is so, then depriving people of music seems almost like not letting someone use a hand, or a leg. 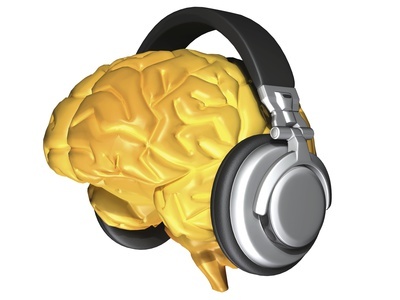 Our brains love music, and the whole brain will light up on a scan when exposed to music. Therefore, music should be part of our everyday lives–at school, at work, at home. Again, if you believe in the law of attraction, you will want to select music that attracts positive influences, and avoid music that has negative influences. So if you should choose your friends wisely, you should be even more discriminating in your music! And composers take note: if you set up a musical expectation, you should violate it with caution. If your music doesn’t behave in ways your listeners expect, your listeners’ brains won’t respond in the way you expect!